With 2,300 stores, AT&T is already one of the largest retailers in the United States. Now it wants to be one a better one. As part of that effort, the company has spent months studying some of the most successful names in the customer service business and coming up with new ideas on how to better sell and support cellphones, Internet service and other products. To test out the ideas, the company on Saturday is opening a new concept retail store in suburban Chicago. At more than 10,000 square feet, the store is twice as large as the company’s typical locations and sports, among other things, two giant interactive touchscreen walls. 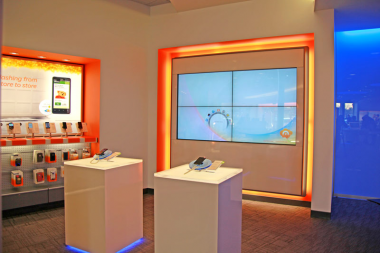 “We really do see our retail stores as an opportunity to differentiate the AT&T experience,” AT&T retail president Paul Roth told AllThingsD. The store is one of two concept stores, though the other, inside AT&T’s headquarters in Atlanta, is only open to employees. One of the big things AT&T has done is get rid of an entire row of cash register terminals that both took up a lot of space and put a computer monitor between AT&T’s staff and its cutstomers. 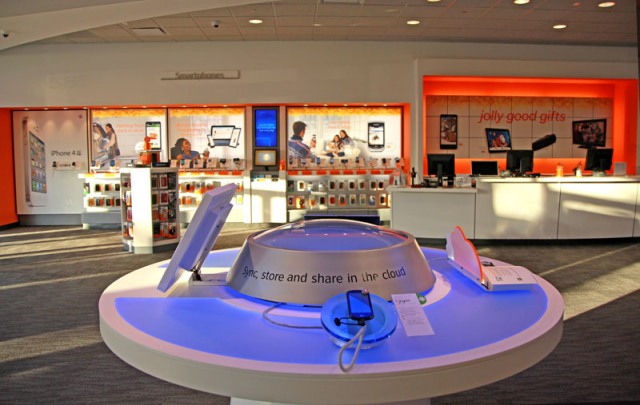 Instead, AT&T will use a combination of iPads and iPhones to handle some of the store’s transactions. AT&T is also looking for a home for the many new kinds of devices that are selling with either short-range wireless technologies or a built-in cellular modem. The company already sells products such as Jawbone’s Jambox. By early next year, Roth said, an entire section of the concept store will be devoted to showing such “emerging devices” in action. The store has wide glass windows, designed to show off what is inside the store, rather than a bunch of posters touting the latest promotions. “You wont see us plaster the windows like a Nascar, which I’ve done before,” Roth said. And, as much as Roth is trying to show off lots of new technology, a key design goal of the stores is to have lots of open area. Roth took that notion so far that the company’s financial chief questioned the decision and worried that the company was wasting space. Roth explained that the open layout was designed to appeal to women, who typically spend more time weighing their purchases in the store. “We still have a grab-and-go capability for the Neanderthal male customers,” Roth joked. Other features in the store include barstool-style seats and tables to try out the latest devices and services as well as a spot to get in-store support for devices and software. 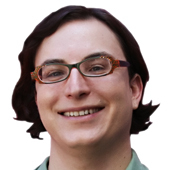 “The name ‘Genius Bar’ was already taken, but that’s what it is,” Roth said. Roth knows that not all of the ideas in Arlington Heights will succeed, but the goal is to quickly find out how well they resonate. “Everything in this store is designed to scale or fail,” he said. For example, a couple years back, AT&T tried installing Microsoft’s pricey surface tabletop computers. “We thought they were really cool, but consumers didn’t think they were that cool,” Roth said.